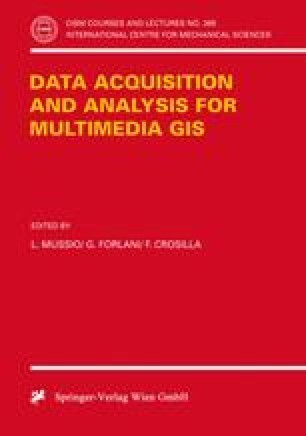 A summary on numerical cartography and digital photogrammetry, taking into account also some aspect of GIS’s and image processing, is presented, in order to list the principal problems of spatially referenced data analysis. As it is very well known, reliability and robustness are important properties, that may be assured in the data analysis by using suitable advanced techniques, but their introduction in the collocation method is at present problematic. An attempt to introduce robust estimators in the collocation method, taking into account the different steps in which it is split, has been done and the results are here presented and discussed.